Living… in the late 1950s – a time when drive-in movies, poodle skirts, and Elvis are all the rage. Profession… senior at Rydell High School. But Danny is too cool for school. 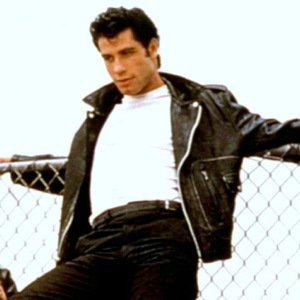 Instead of studying, he spends his time causing trouble with his longtime friends, Kenickie, Doody, Sonny, and Putzie. They are all part of a gang called the T-Birds. Interests… his car, Greased Lightning, and his hair. Danny can almost always be found fixing one or the other. He is also quite a dancer. Relationship Status… single. Though he’s just come back to school after an amazing summer during which he met, Sandy, an Australian girl. They had an intense chemistry and a whirlwind romance at the beach, but they parted ways at the end of the summer as Sandy headed back to Australia. But shockingly, Sandy has just shown up as a fellow student. Apparently, her parents decided not to go back to Australia after all. And now he has to confront the fact that he and Sandy are so different from each other. She is innocent, responsible, and sweet. Well, let’s just say Danny is none of those things – at least he's not when he's around his tough gang buddies. Challenge… growing up. Danny takes his social life seriously, but that's about it. After he graduates from high school, he's going to have to face the real world. Sandy seems to be helping him become more mature. But Danny isn't sure he's ready for that; he's more focused on being a bad influence on her. Although he says he wants to change, Danny keeps on slipping back into his old bad habits. Personality… tough and charming, but he can also be aloof and self-involved. He is never one to back down from a fight. And with luck and charisma on his side, he’s usually able to talk himself out of sticky situations. Although Danny can be exciting to be around, he is what moms warn their daughters about—a bad boy who thinks mainly about himself (and his hair). But let's face it: most of us—regardless of gender—can't help but be drawn to the bad boys. 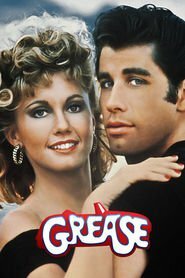 Danny Zuko's popularity ranking on CharacTour is #1492 out of 5,000+ characters. See our top-ranked characters and read their profiles.